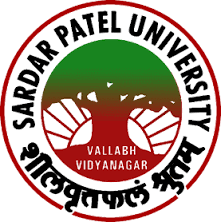 On 15/10/2016, Sardar Patel University (SPU) announced recruitment notification for TEACHING ASSISTANT. Through this recruitment notification, Sardar Patel University (SPU) planning to recruit TEACHING ASSISTANT post who have completed M.SC. Sardar Patel University (SPU) is planning to recruit 1 candidates for the post of TEACHING ASSISTANT. Interested and eligible candidates may participate in the interview on 28/11/2016. Sardar Patel University (SPU) proposes to Conduct Interview for TEACHING ASSISTANT post. It is not required to apply Online / Offline for participating in the interview. Interview will be held on 28/11/2016 at 10.00 A.M. Eligible candidates can attend interview at Sardar Patel University (SPU) on 28/11/2016. Interested candidates attend interview can check out various information like eligibility criteria, salary, Total vacancy, Selection Procedure, Job description, Interview date, Interview procedure and other key information required for the post below. Kindly go through all the below details before attending the Interview. Candidates can Get the TEACHING ASSISTANT Post details such as Job Description, Number of vacancy, Qualification, Age limit, Eligibility and etc., from the table given below. Procedure : Application form, Neatly typed in prescribed form at using Microsoft Word Arial Unicode fonts of size 11, each with self-attested copies of certificates in support of their qualifications, experience, age, publications and all other claims made by them in a proper sequence of enclosures with numbering. If the space provided in application form is insufficient, increase the rows/ columns of the respective item. In all cases, the information sought be provided in the table provided. The candidate are requested to bring Original and Photo copies of Marksheets, Passport size photograph and other certificates if any. Candidates have to attend the interview at their own cost. Candidates who are In-service must produce the “No Objection Certificate” from his/her present employer. Selection will be based on “Exam types”/Selection Will be Based either Written Test / Personnel Interview / Other Mode by the Sardar Patel University (SPU) norms or decision . Interested and eligible candidates can attend the interview for the post of ” TEACHING ASSISTANT ” on 28/11/2016.